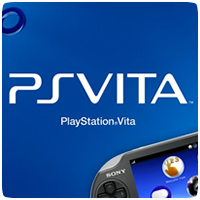 Home» Posts tagged "Price Cut"
Yet another retailer is offering the PS Vita at discounted prices. GameStop.co.uk is offering the Wi-fi and 3G PS Vita models at reduced prices. A larger number of PSP titles have been given a price drop. The prices will vary from title to title, but you’ll be sure to find some as little as £7.99/€9.99, some of which are even Vita compatible (we’ve marked compatible games on the list below with a *). The PSPgo was released just over a year ago and Sony hasn’t been doing to well selling the UMD-less PSPgo, so this news doesn’t come as much of a surprise. Sony Japan has announced a substantial price cut for the portable console today affecting both North America and Japan.